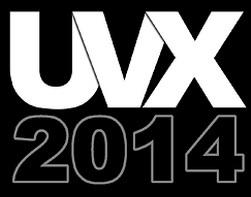 After months of planning, UVX are formally announcing UVX 2014 – Europe’s largest and most exciting event for unmanned vehicles. There has been an incredible increase in interest in unmanned vehicles over the last few years. This has been driven by the combination of advances in technology, the ready availability of components and an Internet-enabled sharing of design and application ideas. Until UVX, there has been no central venue at which these ideas, applications and products can be shown and appreciated. UVX addresses this with the opportunity for Experimenters, Manufacturers, Distributors and Enthusiasts to meet, discuss, sell, buy and generally immerse themselves in the technology. UVX is designed for you, whether your interest is Professional or Hobby-based. If you use or are thinking of using FPV, Multicopters, Robotics, Photography, Videography, Navigation, Security, GPS, Survey or any other of the myriad applications of this technology, then you need to attend UVX 2014.